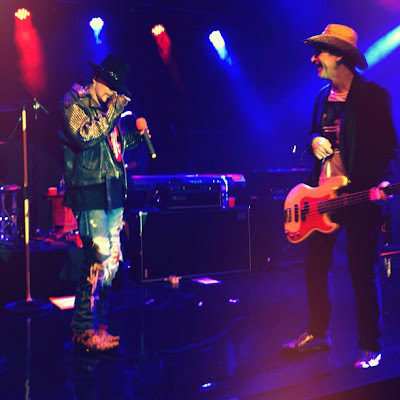 Guns N’ Roses played a private wedding concert in Saint-Tropez, France Saturday night. The last-minute show featured guest Izzy Stradlin, who sat in with his former brand for most of the set. Winding down their European tour this weekend, GNR played the Costa De Fuego Festival in Benicassim, Spain on Friday and were set to play their final show Sunday at Son Fusteret in Palma de Mallorca, Spain, when the Saint-Tropez gig popped up. GNR guitarist Ron "Bumblefoot" Thal tweeted the news, writing, "Wow. Diverted without info (or gear or clothes or sleep) to play a wedding in France. Yep. Guess it's not *one show left*", adding, "Crew working dangerously nonstop due to added show. Not ok with that..."
Reports suggest the event was a private wedding for a billionaire and that Bryan Adams was also on hand to perform before GNR hit the stage. 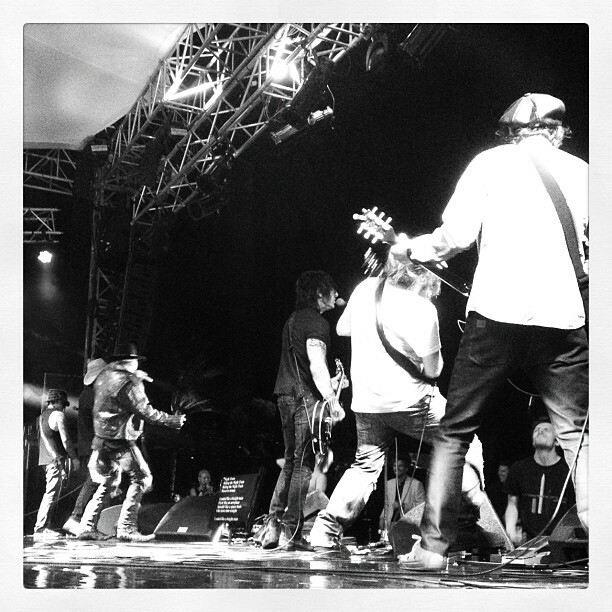 Stradlin last performed with GNR on June 1 at the O2 Arena in London, England.